Caledon, Ont. 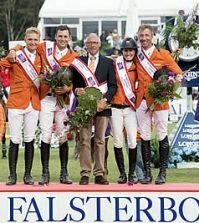 – The final medals in equestrian competition at the 2015 Pan American Games were decided in thrilling fashion this afternoon at the Caledon Equestrian Park. Both Individual Jumping Gold and Bronze were decided by jump-offs after two rounds of intense competition over the big and impressive Michel Vaillancourt-designed tracks. McLain Ward jumped three clear rounds, including in the jump-off against Venezuela’s Andres Rodriguez to win Individual Gold. Lauren Hough captured Individual Bronze as the only clear round in the field of five in the jump-off for Bronze. Ward (Brewster, N.Y.) and Sagamore Farms’ Rothchild looked determined from the start, putting in one of only three clear rounds in Round A and one of only two clear rounds in Round B. Going first in the jump-off for Gold, Rodriguez had a rail down at 4B meaning that Ward needed to go clear inside the time allowed to secure Gold – he did just that. 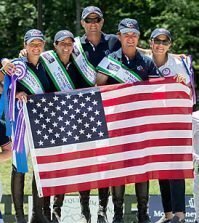 This is the first Individual medal for Ward, who has earned multiple Team medals at Olympic, Pan American, and World Equestrian Games. Hough (Wellington, Fla.) and The Ohlala Group’s Ohlala had the first element of the double-combination down in Round A, a fence that proved troubling for many combinations. 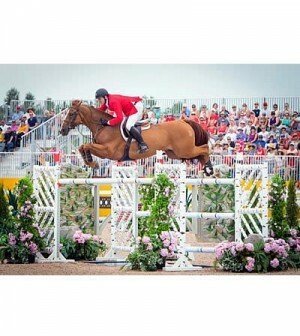 The young mare jumped flawlessly in Round B and headed to the jump-off as the fourth to go. 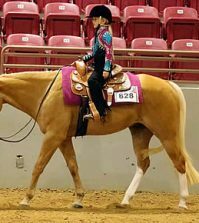 With the three combinations ahead of the pair having at least one rail down, the door was left open for Hough and Ohlala who entered the arena and displayed their signature speed and agility to cross the timers clear and inside the time. The final combination in the jump-off also pulled a rail, leaving Hough and Ohlala as the only pair to post a clear round and thus securing Bronze. Also competing for the U.S. in the Individual Final, Georgina Bloomberg (New York, N.Y.) and Gotham Enterprizes, LLC’s Lilli had the very last rail down on course in Round A to head into Round B as one of eight combinations on four faults. 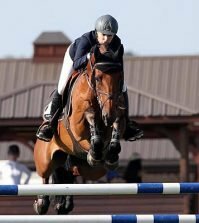 An unfortunate rider error heading into the triple combination resulted in downed rails at both the A and B elements, giving the combination an eleventh-place finish, a placing that tied with four other combinations.